“Let us Prey”. Who dunnit? Channel your inner Poirot or Miss Marple. 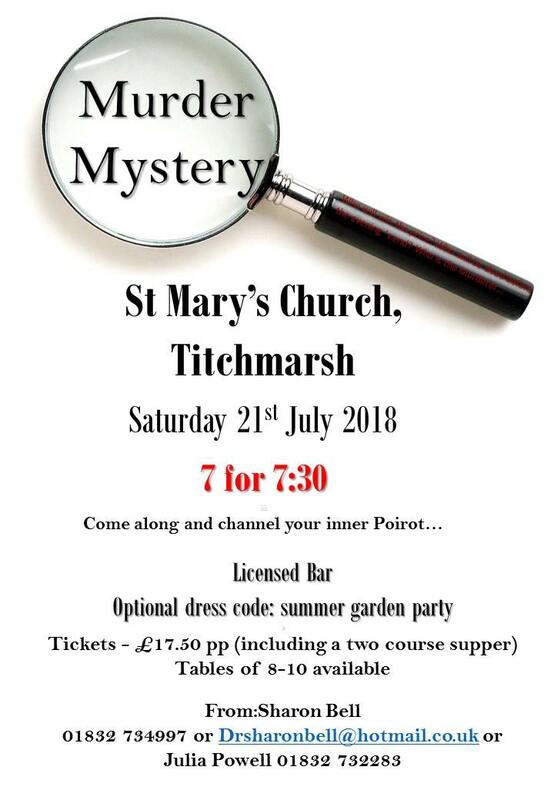 Last chance to book a ticket or table of 8-10 for the Murder Mystery event in the Church next Saturday 21st July, 7 for 7:30. Tickets are £17.50 each and this includes a two course supper. In good Titchmarsh tradition there will be a bar and raffle. Contact Sharon Bell on Drsharonbell@hotmail.co.uk, 01832 734997 or Julia Powell 01832 732283. Optional dress code: Summer Garden Party.